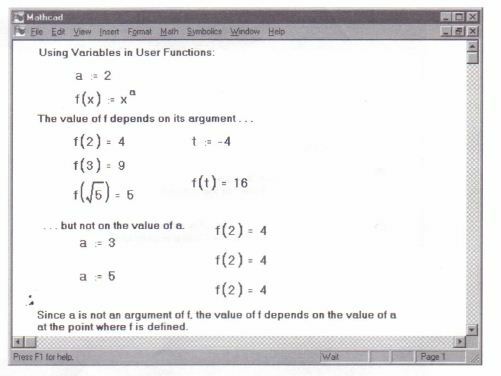 Figure 7-4: The value of a user function depends on its arguments. • An initial condition that prevents the recursion from going forever. Figure 7-5: Mathcad allows recursive function definitions. because the definitions for x and y lie below where they are used. 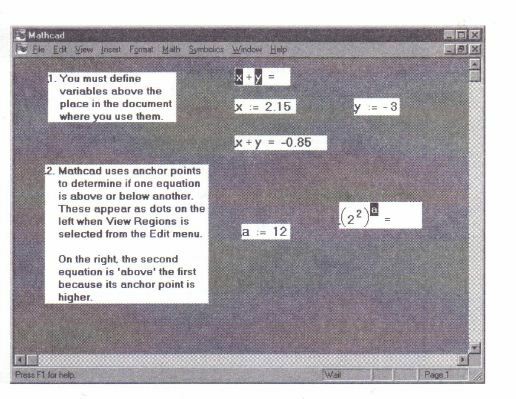 Because Mathcad scans from top to bottom, when it gets to the first equation, it has no idea what numbers to substitute in place of x and y. The second evaluation, on the other hand, is below the definitions of x and y. 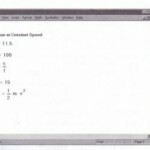 By the time Mathcad gets to this equation, it has already assigned values to both x and y. Figure 7-6: Mathcad evaluates equations from top to bottom in a worksheet. 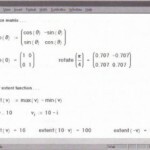 variables are marked in reverse video. 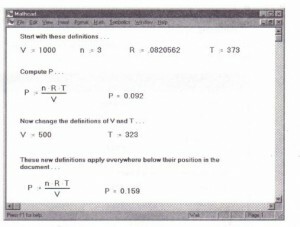 You can define a variable twice in the same worksheet. 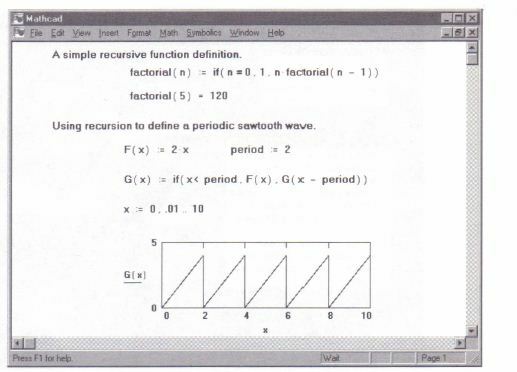 Mathcad will simply use the first definition for all expressions below the first definition and above the second. For expressions below the second definition, Mathcad uses the second definition. 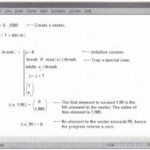 Figure 7-7 illustrates a worksheet in which some variables are defined twice. 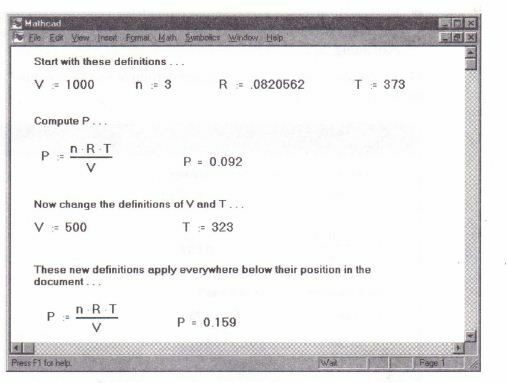 Figure 7-7: A worksheet in which V and T are both defined twice. 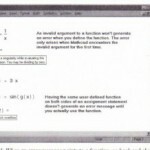 • Type a variable name or function to be defined. • Type an expression. 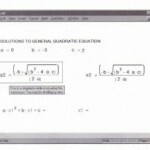 The expression can I involve numbers or other globally defined 1R a .082056211 variables and functions. 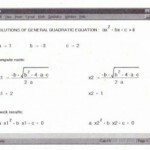 • the variable must have been defined above the place where you are trying to use it. Otherwise, the variable is marked in red to indicate that it is undefined, It is good practice to allow only one definition for each global variable. 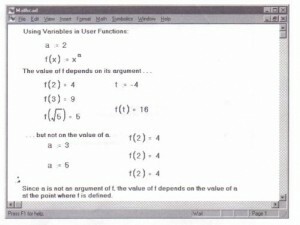 Although you can do things like define a variable with two different global definitions or with one global and one local definition, this is never necessary and usually serves only to make your worksheet difficult to understand.